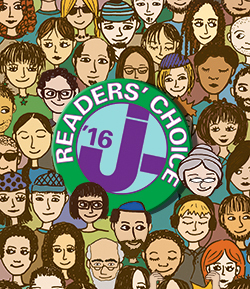 Readers' Choice 2018: Judaica – J. Located inside the JCC of San Francisco, Dayenu offers ritual objects for Shabbat and holidays; items for lifecycle events, including chuppah rentals; gifts made by Israeli and American artists, as well as artists from developing countries; Jewish-themed books; and cellphone rentals for Israel trips. Since 1991, Berkeley’s Afikomen Judaica has been a community institution, hosting concerts and special events. Offerings include a large selection of books for adults and kids, art objects by local and Israeli artists, a ketubah gallery and tallit boutique, a kids’ play space and noshables. Featuring Shabbat candles, Pesach candy, tallitot and original art, the Starr Stevens Judaica Shop at Peninsula Temple Sholom in Burlingame is operated by Sholom Women volunteers and named for two women who grew the shop from a small cabinet to a shopping destination. Proceeds support temple projects. The gift shop in the lobby of the Osher Marin JCC in San Rafael is run by volunteers from Women of Rodef Sholom to support synagogue and Jewish community projects. The shop favors made-in-Israel merchandise and Fair Trade Judaica.